In her e-book “How to have your fairytale wedding on a shoestring budget” Melinda Barton shows you how to have that dream wedding without spending a fortune. She takes you through some of the important industry secrets that help you to ask the right questions and save money. While the website promoting this ebook is a bit hypey and includes some bonus e-books which sound good but are not of any great value, I found the main 83 page e-book to be packed with very useful material. Melinda takes you from the basics of organising and budgeting through to buying advice for rings, your dress, music, venues, flowers, photographers and more. Melinda Barton, is an international wedding planner who hates to see brides spending money unnecessarily. 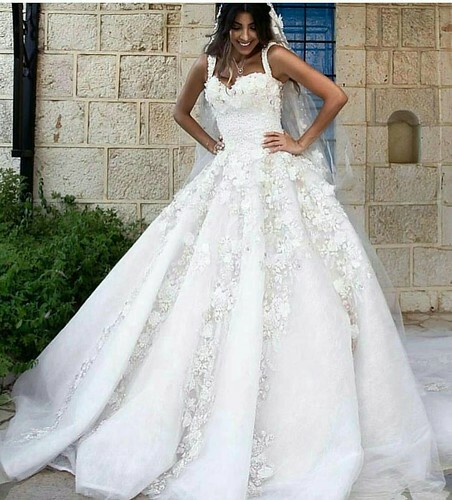 One of her favourite moments was wearing a $3,575 wedding dress that cost her $680. She believes with the right advice anyone can do the same. In ‘How to have your fairytale wedding on a shoestring budget”, I found it reassuring that it starts with the right planning foundations and progresses to all the exciting stuff. It is all too easy to get carried away and find you have no money left. The advice on each topic is well structured. For example the four pages on wedding dress selection starts with general guidelines to consider before you start to shop, then looks at ways to save money and key questions to ask suppliers to fairly compare prices and not get caught out. The level of detail in this e-book leaves you feeling more confident as you are not entering an unknown situation. Instead you are armed with a good starting knowledge of what to expect before you walking the door. Apparently there are over 176 ways to save money. These methods are often obvious once they are pointed out but you need either this book or someone who has done it all before to point them out. Sometimes you will be surprised that there are alternatives to consider rather than following the paths that everyone else does. One very useful and time-saving section is right at the end where you will find a 15 page section with well thought out planning sheets to help with budget, record all the prices you get quoted as well as three pages of comprehensive checklists counting down to the big day. The ebooks makes a bold claim that the advice could “save [you] at least 50% from your wedding expenses”. Does it measure up? If you follow the majority of the advice you will certainly make some good savings. You will certaintly save more than the cost of the ebook. The book comes with a 90 day no questions money back guarantee if you don’t save at least ten times the ebook cost. One weakness I found is that I would have liked to have seen more advice on negotiating for the best prices. Asking the right questions from the ebook will help but some guidance on easy negotiating tactics would have greatly boosted the value of the ebook. If you need to quickly grasp the essentials of good planning and making all the main purchases I recommend this ebook and give it a high recommendation and 8 out of 10. Hopefully Melinda will create some more e-books on other wedding related topics. Maybe with some real life bridal tales from her wedding planning experiences.